Q. How does the renting process work? Q. 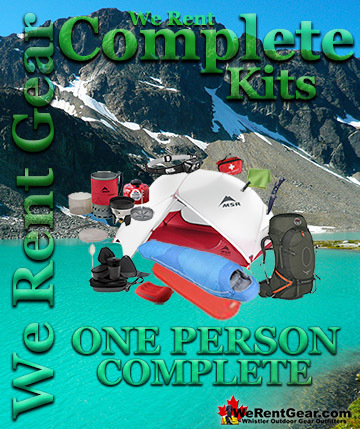 What else do I need to bring if I rent one of your complete camping kits? Q. 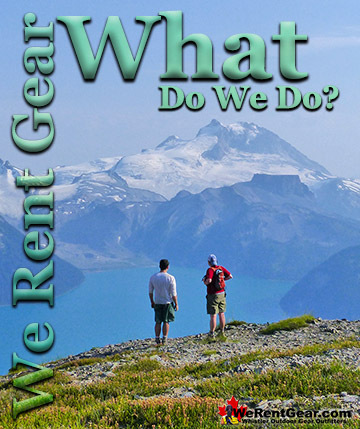 How good is the quality of your rental gear? Q. What happens if I damage or lose something? Q. We want to hit the trail at 5am, do you deliver that early? Q. Abraham from Mexico asks: We want to hike Black Tusk in April, can it be done in one day? Q. Your gear is pretty high-tech, will we have trouble using it? A: 1. 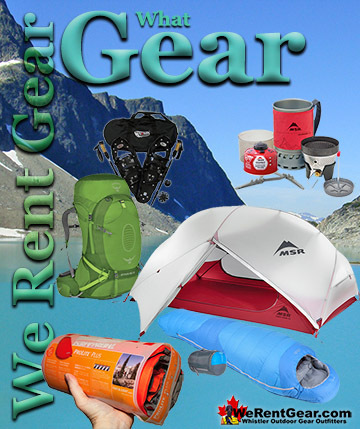 Figure out the gear you would like and book through our reservation system. We will send you a confirmation of the booking and make sure we know where to deliver your gear for you when you get to Whistler. If you have to cancel, give us as much warning as you can. Our cancellation policy is cancel any time. We assume that if you have to cancel, it is probably for a good reason. Have your drivers license or passport for ID and a credit card ready when we deliver your gear, unless you prepaid with a credit card. If you don’t have these, you’ll need to get someone who does. Authorize your credit card for a deposit(Visa, MasterCard, American Express, Discover or JCB) and hit the trails with your gear! 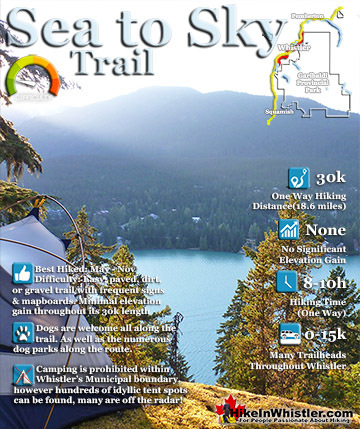 Hike into paradise to some of the best hiking trails Whistler has to offer, with the best quality and highest rated hiking gear money can buy! We are pretty relaxed about returning rental gear late, let us know by text or email. 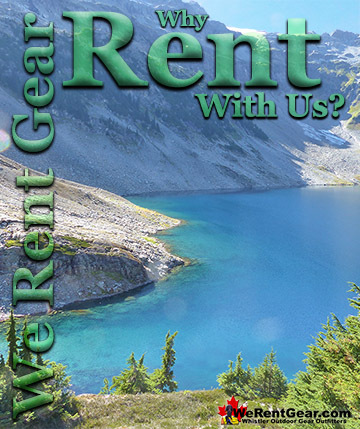 Sometimes, depending on availability we can give you a courtesy extension or extend your rental by our daily rate. Please be sure to return everything you rented in good condition. You are responsible for replacing anything that does not come back and even little things can be expensive. You are also responsible for any damage beyond reasonable use, so take care of the gear please. We don't expect anything to come back clean and tidy, but only in the same working order as when you received it. A: Hey Abraham, great to hear from you in Mexico! April and often May are difficult times to access Black Tusk due to winter snow. Not only can the snow slow your progress and necessitate snowshoes, but it also obscures the trail. You can easily get lost and head off into the woods in the wrong direction. It is very frustrating to be on a hard hike and realize you have just hiked 10 minutes in the wrong direction! So, if I were hiking to Black Tusk in April or May as a day trip, I would leave very early in the morning to make the most of the daylight. I'd try to be at the trailhead before 8am. Depending on the rate of snowmelt, you may not even be able to park at the trailhead and instead be parking 1 kilometre down the road. 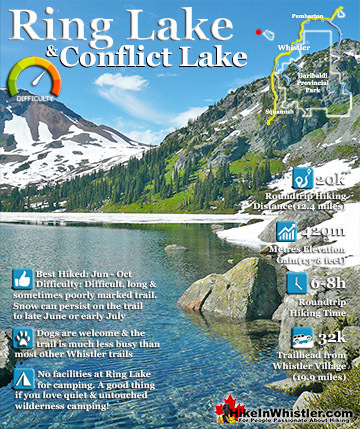 Hopefully you will find the snowline much higher, be able to park at the trailhead and be hiking on dirt, instead of snow for about 4 kilomtres. 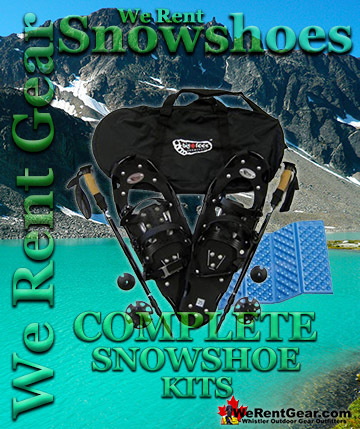 If you don't have snowshoes the snow you encounter will often be crusty on top and soft underneath. This means you walk on top for a few steps then one foot plunges through up to your knees. That's one annoyance you always have to prepare for in the spring. 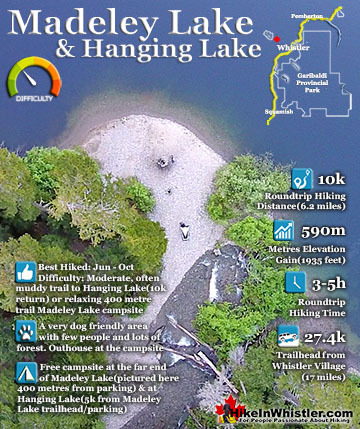 I would anticipate a relatively easy hike for the first 4-5 kilometres, then some tougher hiking with snowshoes for a couple kilometres to Taylor Meadows or Garibaldi Lake. From Taylor Meadows the hike is fairly flat, and on a sunny day extraordinarily beautiful with pristine forest all around and nothing but sunny, snowy mountain tops in all directions! And best of all, Black Tusk looms in the near distance. From Taylor Meadows you can continue toward Black Tusk and it only gets challenging as you near it. There is no way you will stay to the trail here, but you can navigate by sight quite easily. Always be sure to not do this in failing light at the end of the day. Even early evening light, makes travel in unfamiliar mountains very treacherous. 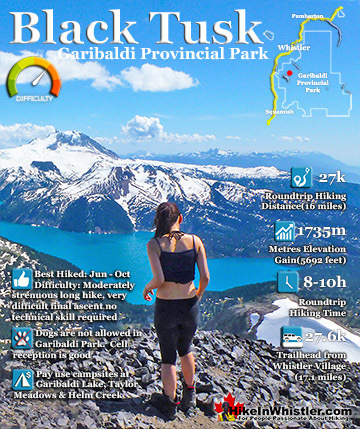 If you are energetic, have good weather and lots of daytime, you might be inclined to hike up Black Tusk. You can fairly easily get up to its base, however in April or May, climbing that last final chute to the top may be very difficult. It is fairly tricky on a perfect July day, but with lots of snow in the area it likely will be foolhardy to try. Having said that I have done it with little difficulty the first week in June, though it was a not a very snowy winter previously. 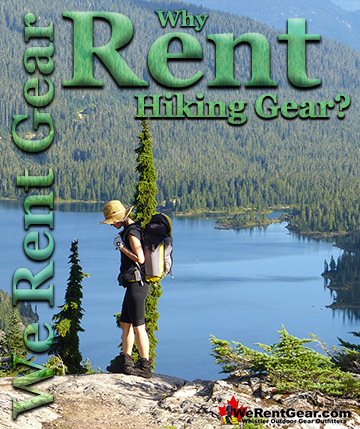 A: We include user guides to any tricky-to-use gear. 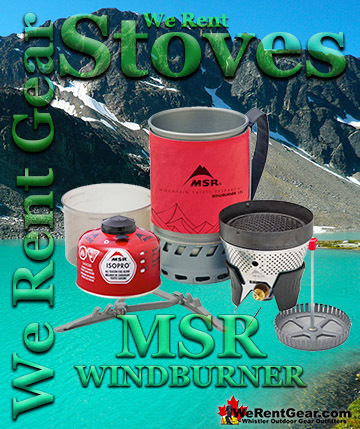 For example, when you open our compact stove system you will see the very detailed instruction for use. 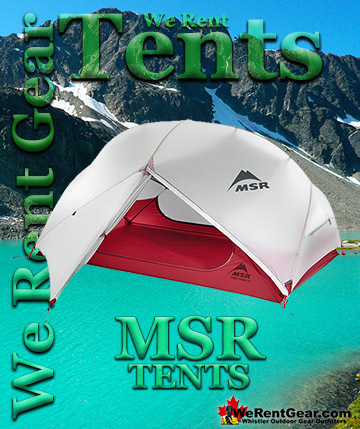 When you open your tent, you will see a how-to guide immediately. If you would like a preview of our gear check out theese Youtube links for user reviews and get excited!